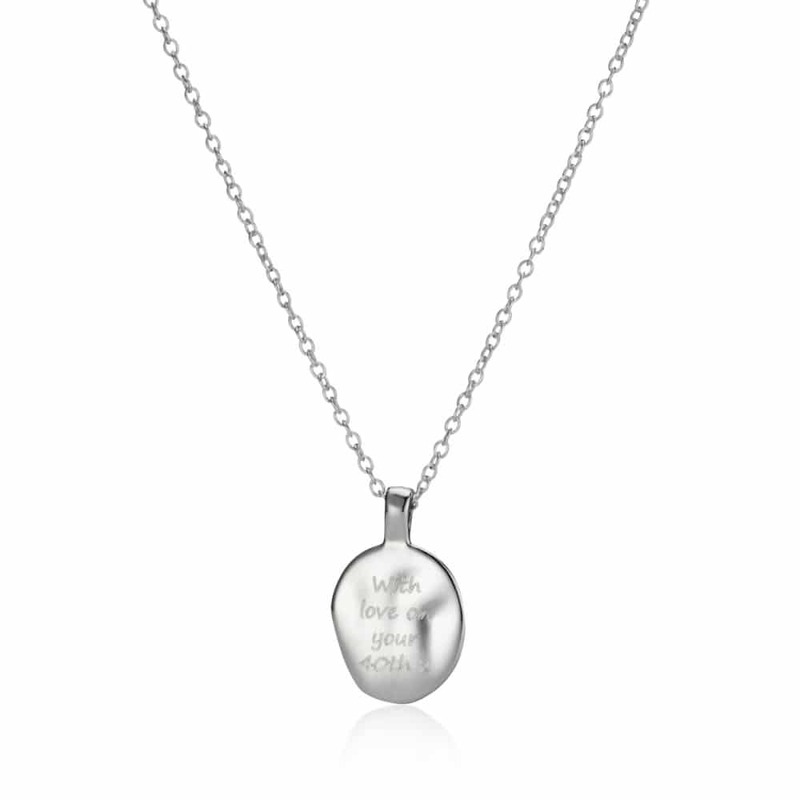 A stunning mother-daughter jewellery gift, our Personalised Oval Heart Pendant Necklace can be engraved with a short message on the reverse to create something truly unique and meaningful. 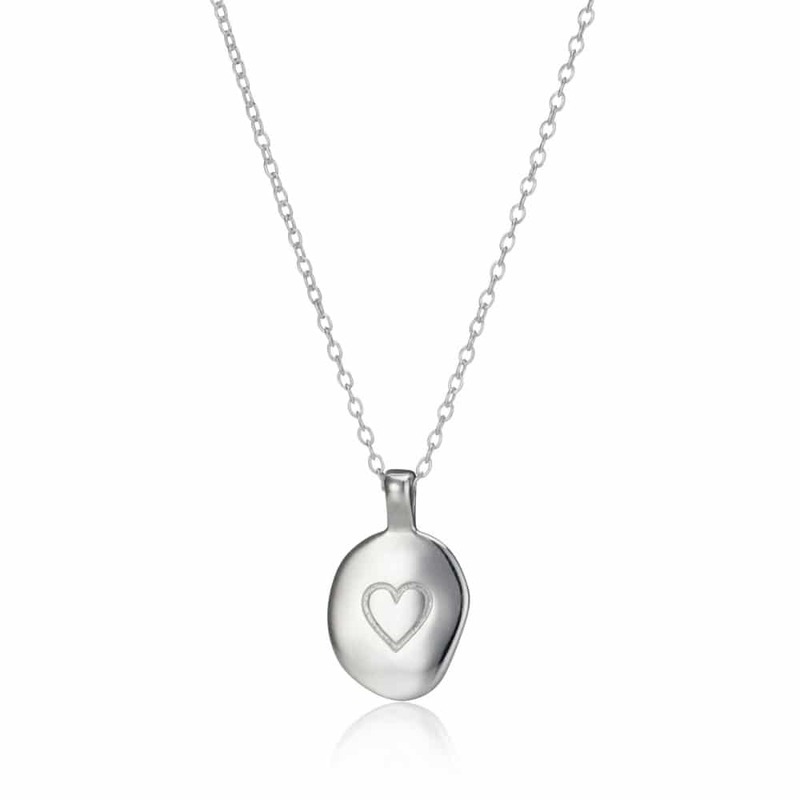 Featuring an organic pebble textured pendant suspended on a fine trace chain, this striking silver necklace will add the finishing touch to any outfit, be it a tailored business suit, a bridesmaids dress, or your favourite t-shirt and jeans. The oval shaped pendant is stamped with a heart as a celebration of love, and as with the all jewellery in our exclusive collection, this Personalised Pendant Necklace comes beautifully presented in a branded gift box. Perfect for Valentine’s Day, Weddings and Anniversaries, it is a wonderful way to say I Love You.